Romans measured time in months but not in weeks. The Ides simply meant the middle day of a month and it functioned simply as a temporal navigation aid — one that looks clumsy to us. So one might make an appointment for two days before the Ides or for three days after the Kalends (the first day of the month) and so on. A man shouting from the back of the crowd “Beware the Ides of March!” must have sounded about as sane as a heckler yelling to a modern day politician that he should watch out for the third Tuesday in April. But for us the Ides of March has only one meaning: the date in 44 BC when Julius Caesar was murdered by a crowd of senators led by his protégés Brutus and Cassius. Tyrannicide, treachery, pathos. And the cry “Beware the Ides of March!” is forever the warning that was ignored. “Beware the Ides of March!” was just one prophesy among others that transformed Caesar’s murder from a sordid and ultimately pointless crime into an event of cosmic significance. The deaths of emperors (like their births, when viewed in retrospect) were always marked by omens. Emperors were absolute rulers in their lifetime and gods in waiting. How could their deaths be ordinary? And how could their murder even be justified? Tyrannicide was no more popular under the reigns of Elizabeth I (when the play was first performed) or of her successor James (when it was first printed). Yet political murder and dilemmas like that of Brutus were definitely still on the agenda. Mary Queen of Scots, for example — Elizabeth’s cousin and James’ mother — had been executed for treason just a decade before Julius Caesar was first staged. These issues still mattered. And Shakespeare’s audience knew this story in advance. A vast mass of the detail of this play, as of Antony and Cleopatra, was drawn from the Lives of the Noble Grecians and Romans, written by Suetonius’ contemporary Plutarch but first translated into English in 1579, a generation before Julius Caesar began to be performed. Plutarch’s Lives, which mined classical history for morally improving tales, were fantastically popular in the early modern period and indeed remained so well into the eighteenth century. Shakespeare’s audience knew from the start that Caesar would die, who would kill him, and even that young Octavius would turn out to be a greater tyrant than Caesar had ever tried to be. Shakespeare has transformed the signs of cosmic sympathy into mood music. His opening scenes are overshadowed by storms. And again before the death of Brutus there is another omen. Plutarch’s Life of Brutus tells how a monstrous figure had appeared in his tent before the final campaign. Asked its name, it replies “I am your evil demon, Brutus, and I will see you at Philippi!” then vanishes. Shakespeare tells the story almost word for word, but add the stage direction reads Enter the Ghost of Caesar. Brutus’ imminent tragedy points back to the Ides. Shakespeare’s Renaissance audiences and readers knew the history of Rome as a history of violence. They were drawn more to the chaos of the Republic than to the imperial peace that followed it. And they certainly did not believe in closure. The story of Julius Caesar is not self-contained, and the conflicts are not resolved. It opens with two tribunes remembering how Pompey had once been just as much adored by the Roman people, as his conqueror was now. And Octavius’ last words remind us that Antony and Octavius would immediately fall out over how exactly to “part the glories” (that is to divide the spoils). There would be fresh civil wars, more treachery and many, many more murders to come. Beware the Ides of March! Greg Woolf is Professor of Ancient History at the University of St Andrews. 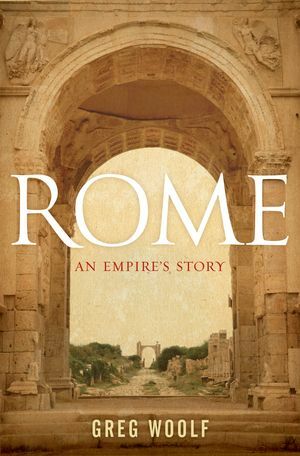 He is the author of Rome: An Empire’s Story, Et Tu, Brute? : A Short History of Political Murder and editor of The Cambridge Illustrated History of the Roman World. Image credits: La Morte di Cesare. Source: Wikimedia Commons.